Education, finance/insurance, government, and utilities employers have the most self- funded prescription plans (more than 20%), a trend that has persisted for three years. Regionally, there are vast discrepancies in self-funding trends. California has the fewest self-funded plans (1.9% — which has changed little in three years). Self-funding is the most common in the North Central U.S. (18.3%). Typically, the larger the employer, the more likely it is to self-fund the prescription drug plan. 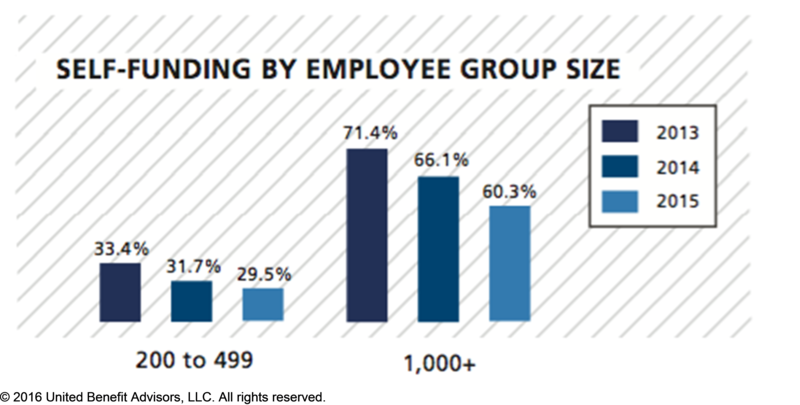 Over 60% of plans among employers with more than 1,000 employees are self- funded. However, this is a 15.5% decrease from two years ago. Similarly, employers with 200 to 499 employees have seen an 11.7% decrease in self-funding in two years. Approximately 1.9% of employers with one to 49 employees have self-funded prescription plans—a small number, although that is a significant increase when you consider that only 1.0% of these plans were self-funded just two years ago. 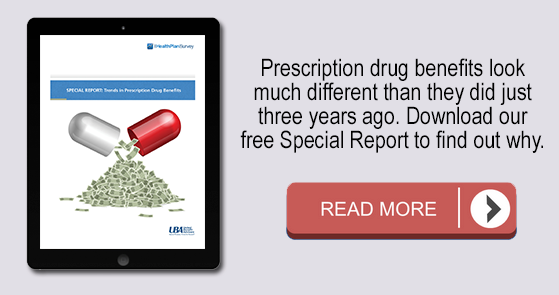 Besides funding options, UBA’s Special Report finds that employers are using other cost containment strategies such as increased tiers, blended copay/coinsurance models and penalties for brand name drugs—as part of their effort to control the soaring costs of specialty pharmacy drugs.